Much of JoomUnited’s recent work has focused on improving user experience. From introducing material design to WP Media Folder Galleries to allowing you to do more with tables on Joomla, something probably tickled your fancy, whatever your blogging preferences. If not, the latest update to Droptables brings something for everyone - an appealing new look. 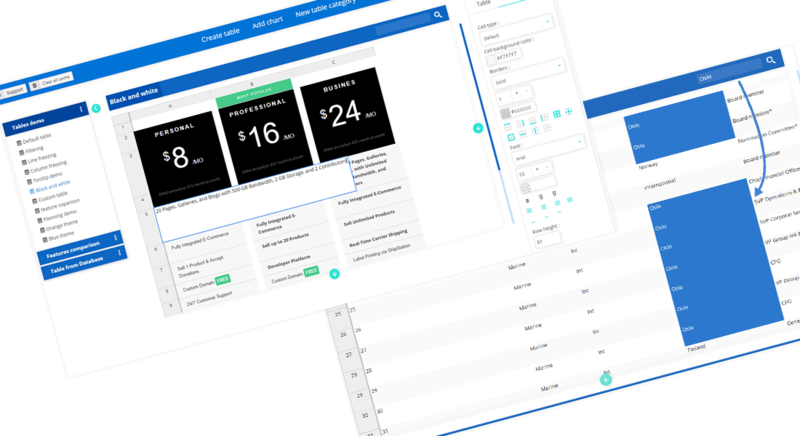 If you recently opened up the Droptables component for Joomla, you might have noticed a brand new update, transforming the mundane look of your tables into a cleaner interface. The brighter, more cheerful look revamps your toolset to make it easier for you to do your job, without removing any features. In today’s article, we will go through the main changes to acquaint you with your new Droptables home. It is practically unmissable - the main area of your Droptables component has been transformed completely with a fresh blue theme. Beyond the colors, the Joomla component revolves more strictly around this theme. All the main table controls are now placed at the top in a new toolbar, including the buttons to create tables, charts and folders. Just below, brand new tools have been introduced. Firstly, navigating across the data and your charts is much simpler thanks to the toolbar preceding tables. On the far right side of this toolbar, you can also search for keywords in your data. Two new features that are easily-overlooked are the abilities to append rows and columns at the end of the data using the new buttons. Alternatively, you can insert more data anywhere you want by using the right-click menu. Besides the data, most of the action in Droptables resides in the right sidebar. For example, the Table tab allows you to change the theme of your table with the click on a button. 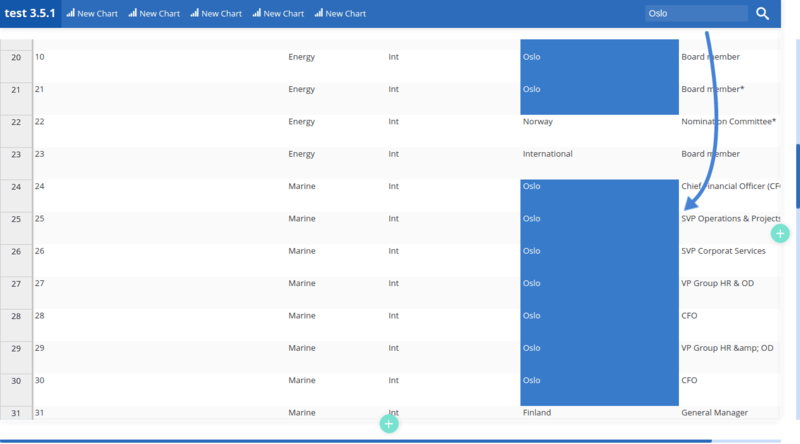 The new Droptable theme also gives you small previews of the different table formats. However, be aware that data is lost when you change a theme, so make sure to pick one in the beginning. From the rest of this sidebar, you can create the theme for your tables yourself by specifying, for instance, row highlighting and alignment. Other features of note are sorting, remote data sources and row freezing, which is useful to create headers. If formatting tables is not fine-grained enough for you, the second sidebar tab does exactly what you would expect it to do - format individual cells. From this tab, you get the detailed formatting options to make your data stand out. From alignment to cell types and colors, the Format tab allows you to customize cells, allowing you to highlight data that deserves the most attention. Similarly to the Table and More tabs, all the options and fields have been revamped to give you a clearer indication of their effects. Still confused? 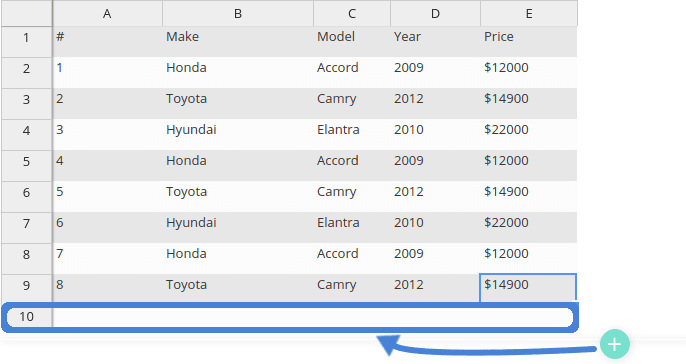 Droptables includes tooltip help when hovering over options, guiding you to present your data just the way you want it. The final tab allows for the final touches to your data, namely with number, date and currency formatting. Furthermore, it is possible to export the fruit of your labors as Excel files, including not only the data, but also the style. If you lose your data by mistake in the future, you can just import it back from this tab. With its latest update, the Joomla component revamps your toolkit to make it easier on the eye, both for you and your visitors. While Droptables is changing, the essence remains there, helping you present your data your way.